Posted by Client Care on Friday, February 7th, 2014 at 12:08am. When you hear the term eco-friendly what usually comes to mind? For me, it is the mantra recycle, reuse, and reduce, and although that sounds groovy, at the same time it doesn't necessarily invoke a chic or modern sense of style. However this perception is changing fast, especially in places like Colorado where the terms eco-friendly, green and sustainable have caught on in just about every single industry, including real estate. In essence, these huge trends have extended from specific industries and morphed more into a way of life. Modern sustainable living has to do with everything you do, whether it is bringing your own grocery bags to the store, composting at home, buying local, or using reclaimed materials in your home renovations. For some, the most benefits come when they can perfectly integrate their vision of sustainability with functionality and style. 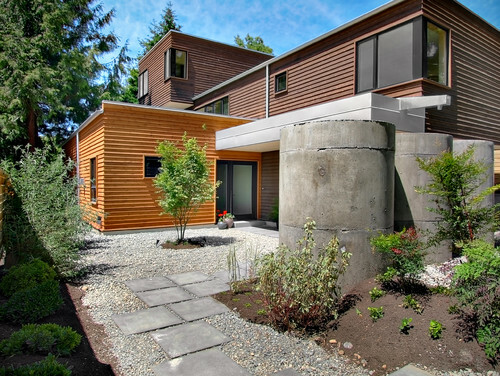 Here are some of the coolest modern sustainable living trends to hit the real estate industry in the last few years. Water harvesting systems and reclaimed irrigation are one of the biggest trends to hit the home construction industry over the last few years. Relatively easy to integrate with stylish and sleek architectural designs, these kinds of systems capture or reclaim rain water in some sort of tank which can then be used for a variety of things like irrigation, gardening, livestock, and even indoor heating. In order to use reclaimed water for consumption purposes or for every day bathing water, you must have an on-site stormwater treatment and filtration system as well, which will purify the water. Homes that have systems like this also benefit from things like xeriscaping and other water filtering infrastructures to maximize water collection. Alternative heating options like geothermal heating systems and solar power have long been staples in home energy efficiency. The use of natural renewable resources whenever possible will have a huge effect on homeowners financially and to help reduce their carbon footprint. And, although large solar panels on your roof or in your yard might not be all that attractive, they are regularly identified as a luxury accommodation and are considered an asset to the home. Additionally the use of large windows and skylights are also considered chic and eco-friendly as they allow more natural light and warmth into a space. 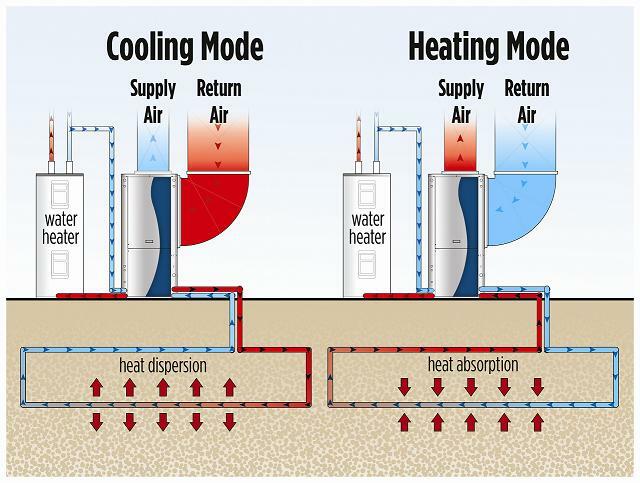 The best thing about geothermal heating and cooling systems, beside their direct effect on your monthly heating and electricity bills, are that they are installed under the ground and are virtually invisible to the naked eye. By far, using reclaimed or repurposed materials is one of the easier trends to get into and can be done on a variety of scales. 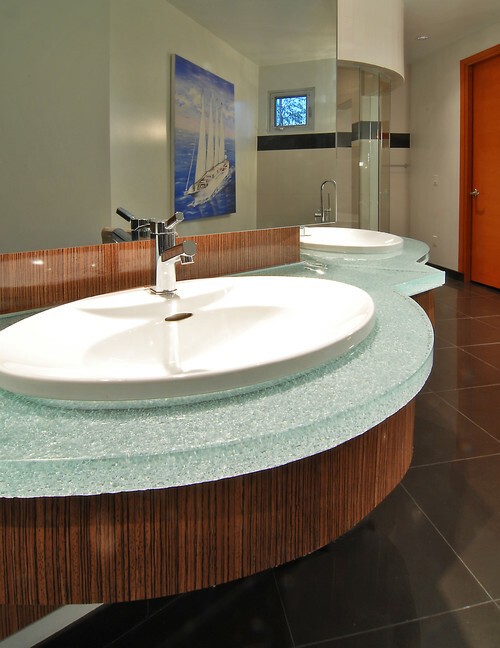 Salvaging or repurposing materials is something you can do on every level in your home’s design and/or construction. Things like old brick accent walls, reclaimed factory timber, recycled glass countertops, repurposed item lighting, or vintage/antique accessories and fixtures are definitely not only sustainable, but also offer a distinct sense of style and fashion.